Unvented Water Storage Cylinders (*DELIVERY CHARGES APPLY over 10 Miles*) PLEASE CALL FOR CHARGES. Ariston Unvented Cylinders (*DELIVERY CHARGES APPLY over 10 Miles*) PLEASE CALL FOR CHARGES. Heatre Sadia Megaflo (*DELIVERY CHARGES APPLY over 10 Miles*) PLEASE CALL FOR CHARGES. Joule cylinders (*DELIVERY CHARGES APPLY over 10 Miles*) PLEASE CALL FOR CHARGES. Main Unvented Storage Cylinders (*DELIVERY CHARGES APPLY over 10 Miles*) PLEASE CALL FOR CHARGES. 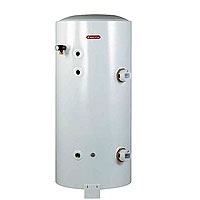 Santon Unvented Hot water Cylinders (*DELIVERY CHARGES APPLY over 10 Miles*) PLEASE CALL FOR CHARGES. Vaillant Unistor (*DELIVERY CHARGES APPLY over 10 Miles*) PLEASE CALL FOR CHARGES.